Ideal for bean bags, pet beds, and cushion filling, GB Foam Direct’s new luxury foam crumb blends are the best in the UK. Made from specialist blends of the finest fire retardant foam crumb. You can choose between some of the purest high-density foam online. We have used our 40 years’ experience to create blends that work well for specific products. How Much Foam Do You Need For Your BeanBag? When buying a brand-new beanbag, you are usually told the exact capacity in cubic feet. As a rule of thumb, you will require 1kg of foam filling for each cubic foot; so, a bean bag that has a capacity of 10 cu ft will need 10kg of our bean bag filling. This is just a rough guide as bean bag firmness preferences are different to each user. If you like a nice firm bean bag we would suggest ordering a little more foam than the calculator recommends. 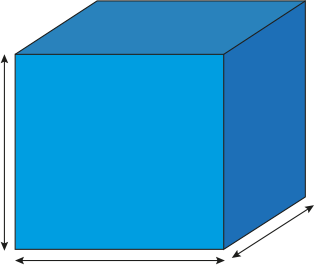 If you do not know the capacity of your beanbag if you measure the bag and input the details into our handy calculator below it will work out the volume in cubic feet and give you a recommendation of how much foam you will need. Carefully measure your beanbag and enter the size in inches, feet, millimeters, centimeters or metres. Enter these details into our instant calculator below to find out exactly how much foam crumb you need. Please note, if you want your beanbag to be firmer add a little on top of the calculated results. Like it firmer? Add a little more. Everybody loves bean bags! They’re perfect for slouching on and look great in almost any room. If you’re looking to integrate a bean bag into your home, why not consider making your own using our foam bean bag filling? You could always buy a pre-made one, but for a truly personal touch, nothing beats making your own. It’s also much more fun. One of the most important things about a bean bag is how comfortable it is. Traditional bean bags use polystyrene balls as bean bag filling. Whilst relatively effective, there is an even more comfortable solution. Here at GB Foam Direct, we stock foam crumb which can be used for a variety of purposes. 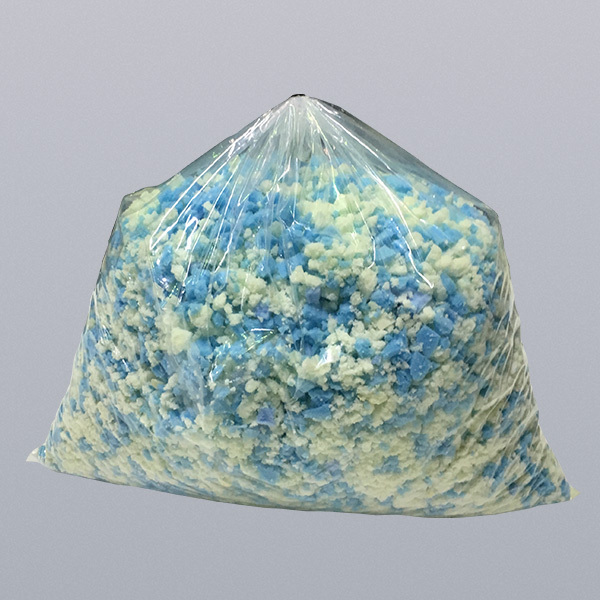 One of the most popular applications of foam crumb is bean bag filling. Foam crumb is essentially a crumbled version of the same high-quality foam we use in many of our products. It’s a great alternative to traditional bean bag filling! We offer three different types of foam crumb including, high-density mixed colour foam crumb, pure memory foam crumb and a mixed bag of the two. You’re of course welcome to use any of these for foam bean bag filling, however for the most effective results we’d recommended our 50/50 mixed bag. Once you’ve decided which foam bean bag filling you’d prefer, go ahead and place your order. Providing that you’ve made your order before 11:30 AM Monday – Thursday we’ll try to have your order to you by the next working day. This means that you won’t have to wait long to create your very own bean bag. Before you start making your bean bag, you’ll need a few things. Firstly, you’ll need your foam bean bag filling from GB Foam Direct. You’ll also need, approximately four meters of a durable cotton fabric of your choice, a sewing machine, Velcro, scissors, an iron, a pencil, a measuring tape and a circular template to draw around (a circular coffee table perhaps). First, sew Velcro to the top of one 90cm x 50cm rectangular piece of fabric and to the bottom of another rectangular 90cm x 50cm piece of fabric. Then stick these together in order to create a 90cm x 90cm square. Place this piece of fabric onto the floor and use your circular template to cut a circle with a diameter of approximately 85cm. Next, you’ll need to cut out a rectangular piece of material as long as the circumference of your circular base. After this, you’ll need to sew together the short side of your rectangular piece of material in order to create a cylindrical shape. Make 10 – 20cm long concertina folds in the top of the cylinder and bring together one end of the edges. This will form the top of the beanbag. Sew the concertina folds and the finishing result should be a cylinder with a bunched top. When you’re done, pin together the open end of your cylinder to the circular Velcro base. After this, you’ll need to sew the base and sides together, at this point the material should be inside out. Once you’ve finished sewing, you can turn it back the correct way. Finally, all you need to do is take your foam bean bag filling and fill the case up. Unlike regular polystyrene balls, foam bean bag filling is much easier to pour into bean bag covers. Once the bean bag is full, simply seal it using the velcro. Crumb Foam – Why Buy From GB Foam Direct? Crumb foam is perfect for a variety of purposes. 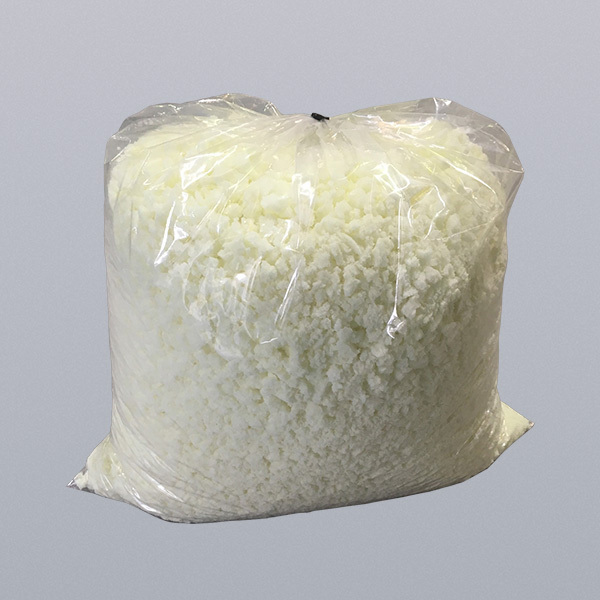 Many people like to use crumb foam for stuffing cushions and bean bags. It can also be used for other purposes such as for stuffing toys, pet beds, poufs, garden furniture, and packaging. Ultimate Bean Bag Filling – a 50/50 mix of the two. Many people like to use crumb foam for bean bag filling. 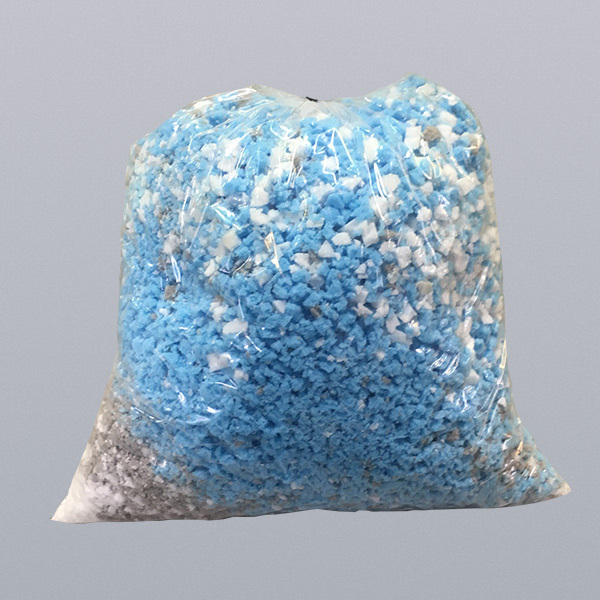 Conventionally polystyrene beads are used for stuffing bean bags. However, many people are beginning to realise the practical benefits of using foam crumb in place of polystyrene beans. Foam crumb is far more comfortable than polystyrene beads for example. It offers the same benefits that high-density foam or memory foam does, except it’s in a crumbled form and can be used in a more versatile manner. We only use new foam to create our crumb foam here at GB Foam Direct. It’s exactly the same type of fire retardant foam that you can purchase directly from us in full form. From a professional standpoint, we believe it’s important to only use brand new materials in everything that we sell; we’ve never used second-hand foam and never will. Some companies, don’t follow this same practice. In fact, we’ve learned that some foam suppliers use second-hand mattress foam in their foam crumb. The same foam that most likely was slept on for years by a total stranger is being crumbled up and resold to consumers. We’re all for being eco-friendly here at GB Foam Direct (just take a look at our environmental policy), but to us, reusing old mattresses for crumb foam doesn’t sound very hygienic. Don’t get us wrong, recycling is great, although, it needs to be done in the correct manner. The amount we perspire varies between each individual, however, everybody sweats. Naturally, some of this will be lost within the mattresses foam when sleeping. This generally happens with most mattresses, and for most of us, it’s not a problem so long as you keep your sheets clean. Purchasing crumb foam that contains sweat from a stranger, however, is a different story. It’s not hygienic and not something which you want to be using to stuff various items with. The best thing to do in order to avoid situations such as these is to enquire regarding the origins of your crumb foam. Some foam suppliers will repurpose used foam as a means to save money and offer their products at a discounted rate. On face value, a cheap bag of crumb foam seems great, but make sure you know where it’s coming from. We at GB Foam Direct only use brand new foam in order to create our foam crumb, so you can rest assured that there will be no nasty surprises with your order. We’re also priced extremely competitively especially considering the quality of our foam. Take a look for yourself at the foam crumb which we have on offer.